Pune impressed the audiences and the experts with their disciplined bowling attack. Each one of their bowlers contributed significantly and put forward themselves as a unit. Mitchell Marsh and Rajat Bhatia are two good names to be taken off. Marsh deliveries at a constant speed of 140 km/h. On the other hand, Bhatia showed his varieties of bowls in his armoury. Not only bowlers, their batsmen likes of Ajinkya Rahane, Kevin Pieterson, and Faf du Plessis performed very well. All team players played as a group which satisfied the skipper. Thus, captain MS Dhoni would be expecting such a performance again from the team members to win the upcoming match in the IPL 2016 schedule. Now coming to the condition of Gujarat Lions. They won over KXIP slamming badly in the opening game. GL clinched the first battle by five wickets. West Indian all-rounder Dwayne Bravo performed very well with the ball as he bowled four batsmen out for just 22 runs. Thus, he became the first bowler to take 300 wickets in the t20 history. Gujarat chased the total made by the opposition. Lions batsmen Aaron Flinch and Dinesh Karthik batted splendidly and scored 74 runs in 47 balls and 47 runs off 26 balls respectively. For the skipper Suresh Raina, the primary concern will be Brandon McCullum. The former captain of New Zealand got the duck out and he didn’t have played a lot of t20 till date. So, now team management can only hope for the best. GL v RPS is to start at 8 pm IST (5:30 BST). Indian audience can enjoy the game on Sony Six, Sony ESPN, Sony Six HD, and Sony ESPN HD with an option to stream it live on starsports.com and hotstar. The residents in the UK can catch live updates on Sky Sports 1 and Sky Sports 1 HD and can watch online on Watch Sky Sports. 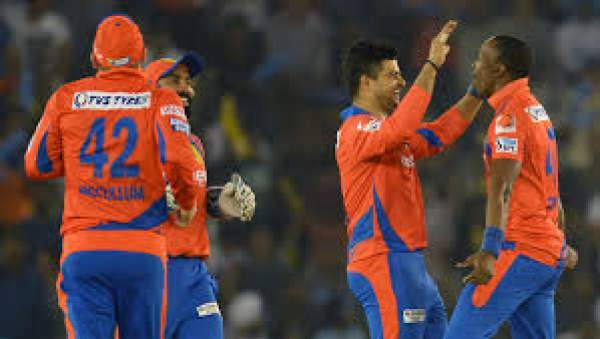 Gujarat Lions: Aaron Finch, Brendon McCullum, Suresh Raina (C), Dinesh Karthik (WK), Ravindra Jadeja, Dwayne Bravo, Ishan Kishan, James Faulkner, Praveen Kumar, Pradeep Sangwan, Sarabjit Ladda. Rising Pune Supergiants: Ajinkya Rahane, Faf du Plessis, Kevin Pietersen, MS Dhoni (C & WK), Steve Smith, Rajat Bhatia, Mitchell Marsh, R Ashwin, Ishant Sharma, Murugan Ashwin, RP Singh. Stay tuned for the match result, live commentary, ball by ball updates, man of the match, etc.